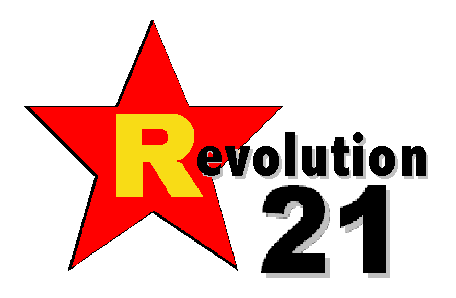 Revolution 21's Blog for the People: The legacy of lead: A heavy weight to bear? Omaha has one of the poorest black populations in the United States, one unusually bereft of a middle class. Educational achievement lags in this community, while unemployment and social pathologies soar. The city's African-American community, centered on the near north side of town, also is the center of violent crime in Omaha. 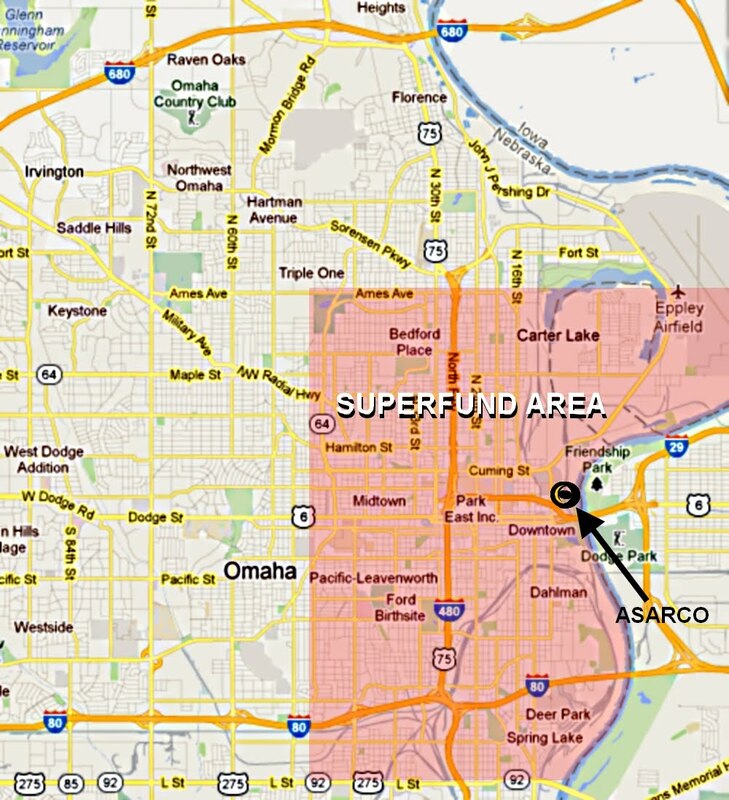 The near north side of Omaha also happens to lie within an EPA Superfund site, where scores of millions of dollars are being spent to clean up widespread lead contamination, the unwelcome legacy of some 120 years of the area's history. The legacy is that of the ASARCO lead refinery, which called Omaha home for all that time and where several smelters were consolidated at the corner of Fifth and Douglas in 1899. The combined operation eventually became the largest lead smelter in the world, and it stayed in business until 1997. It belched massive amounts of toxic lead particles into the Omaha sky. 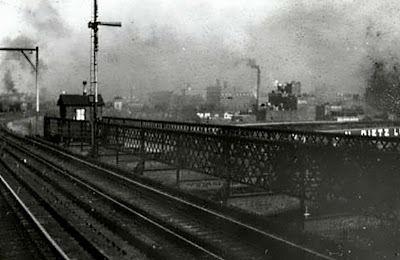 For decades and decades the pollution spewed, and where it landed, we pretty much knew -- the near north side, largely. THE NEAR north side, the heart of black Omaha. 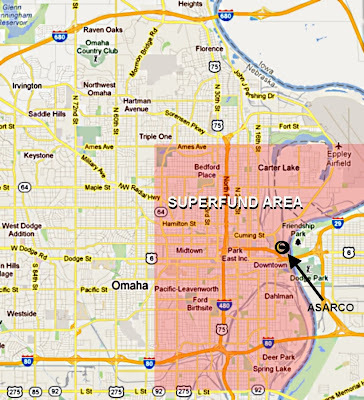 Largely poor black Omaha. Often uneducated black Omaha. Often dysfunctional black Omaha. You think a century or more of lead contamination -- lead ingestion by decades of inner-city children -- might have anything to do with any of the above? After all, we do know of the neurological effects of chronic lead exposure. They're not good, FYI. You ever wonder -- after accounting for socioeconomic, family and cultural variables -- how much of the intractable majority-minority achievement gap in education might be due to chronic lead exposure? I'm starting to. AND IT SEEMS, concerning violent crime in America, some Tulane University researchers and others have been wondering, too. Childhood exposure to lead dust has been linked to lasting physical and behavioral effects, and now lead dust from vehicles using leaded gasoline has been linked to instances of aggravated assault two decades after exposure, says Tulane toxicologist Howard W. Mielke. Vehicles using leaded gasoline that contaminated cities' air decades ago have increased aggravated assault in urban areas, researchers say. The new findings are published in the journal Environment International by Mielke, a research professor in the Department of Pharmacology at the Tulane University School of Medicine, and demographer Sammy Zahran at the Center for Disaster and Risk Analysis at Colorado State University. The researchers compared the amount of lead released in six cities: Atlanta, Chicago, Indianapolis, Minneapolis, New Orleans and San Diego, during the years 1950-1985. This period saw an increase in airborne lead dust exposure due to the use of leaded gasoline. There were correlating spikes in the rates of aggravated assault approximately two decades later, after the exposed children grew up. After controlling for other possible causes such as community and household income, education, policing effort and incarceration rates, Mielke and Zahran found that for every one percent increase in tonnages of environmental lead released 22 years earlier, the present rate of aggravated assault was raised by 0.46 percent. IF CAR EXHAUST can do that, one has to wonder what societal havoc the onetime world's largest lead refinery might have wrought, and to what degree, upon our fair city . . . and its most vulnerable population. You just have to wonder. Perhaps it's high time the city's newspaper, the Omaha World-Herald, started wondering, too. Every little bit of information helps in tackling the most intractable of maladies.